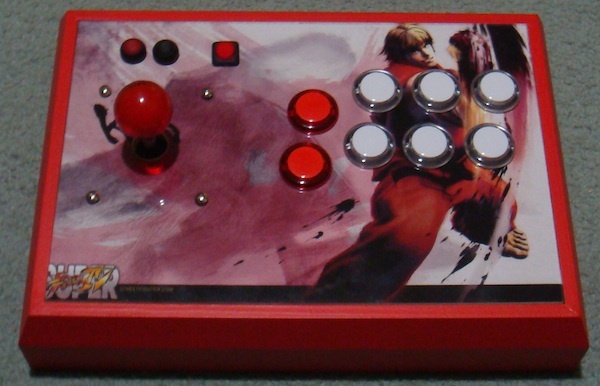 Some more progress on the fight stick. 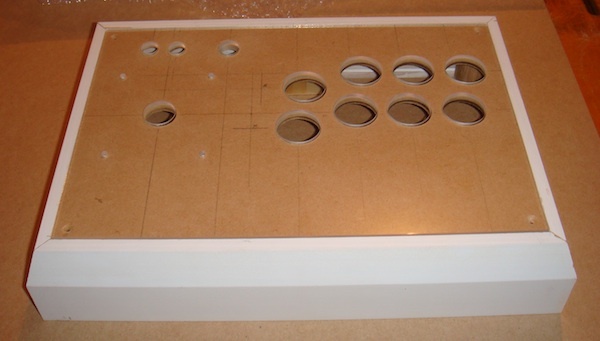 First up was to get the top panel and support pieces together with some wood glue and screws. I also had to get the router out to make the start and select button holes shallower. The buttons I purchased for these were not very deep. With the top panel and support pieces glued and screwed into place, it was time to assemble the unit. Some more wood glue, liquid nails and a few small brackets and screws for extra support, the unit was assembled. A couple of layers of red paint were added to keep with the colour scheme. I was lucky to have some red paint left over from a previous home project, although it’s only a flat colour – I think next time I will go a more glossy type. 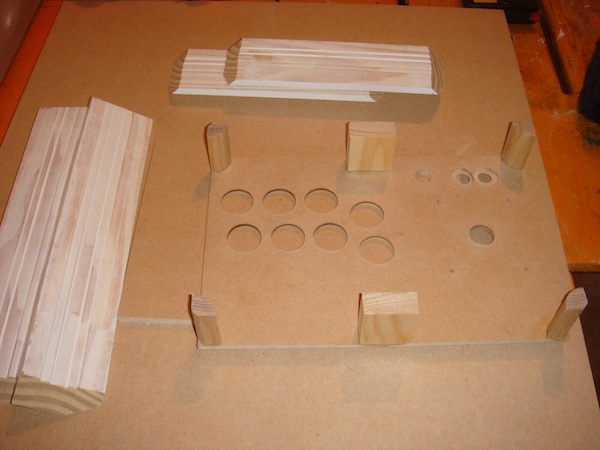 Buttons and joystick added also – and it’s looking much closer to completion. The base has also been painted and is ready to roll.